278 pages | 46 B/W Illus. Measurement and Evaluation in Physical Activity Applications offers the most accessible, student-friendly introduction to the principles and practice of measurement in physical activity available. 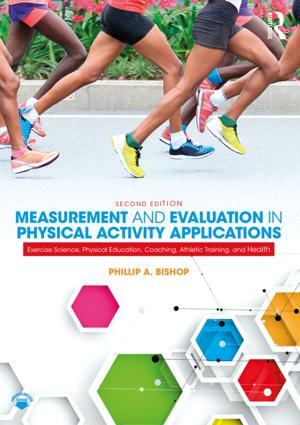 Fully revised and updated, the second edition provides students with a clear guide to the obstacles to good measurement, and how to apply the principles of good measurement to a range of physical activity disciplines. Spanning applications in exercise science, sports performance, physical education, sports coaching, athletic training, and physical activity and health, the book also includes chapters on the key principles underlying good measurement practice—validity, reliability, and objectivity—as well as an introduction to using statistics and qualitative measurement. Structured to reflect single-semester classes, and involving students at every stage through its rich pedagogy and accessibility, this is a crucial resource for introducing students to the principles of best practice in measurement and evaluation. It is the ideal learning aid for any students studying measurement, evaluation, or assessment in kinesiology, exercise science, sports coaching, physical education, athletic training, and health and fitness. Phillip A. Bishop is Emeritus Professor of Exercise Science at the University of Alabama, USA where he taught for over 30 years. He has taught, researched, and lectured in about 31 states and about 30 foreign countries. He has conducted research for NASA, the US Airforce, the US Army, and the US Military Academy.